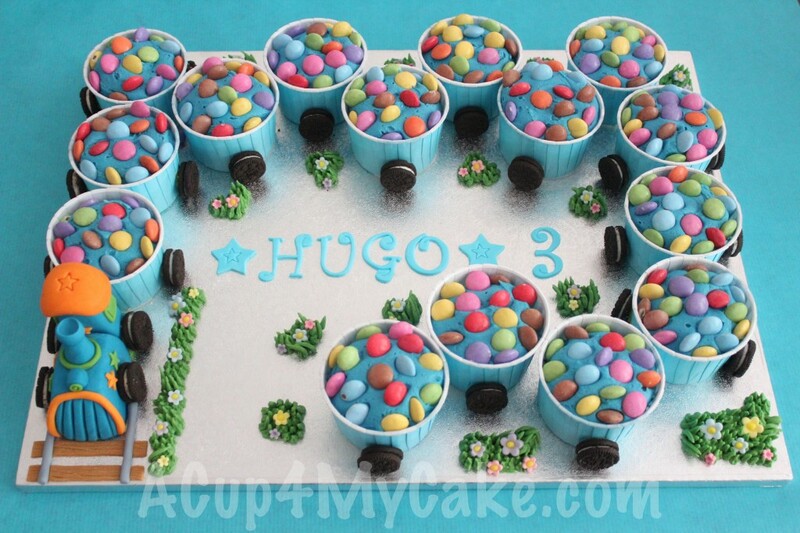 This is the train made out of cupcakes I made last week for Hugo’s 3rd birthday. 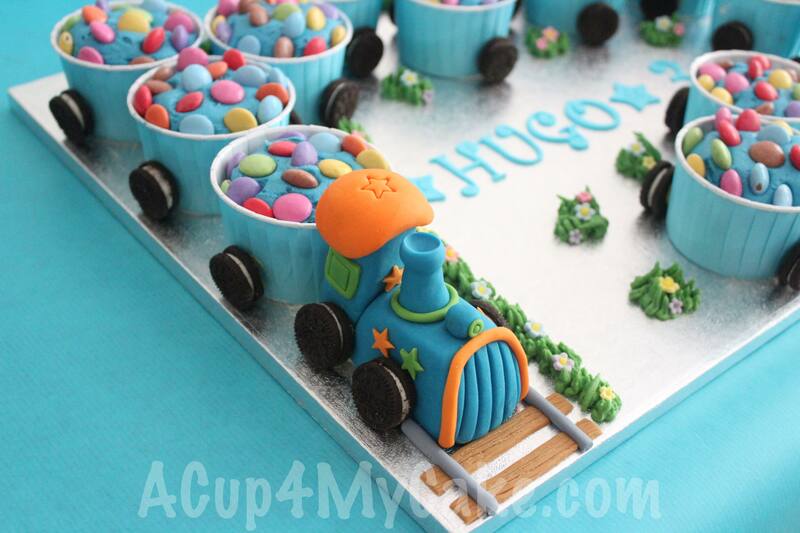 He’s still very young, but he decided by himself he wanted a train to share with his friends at his party. 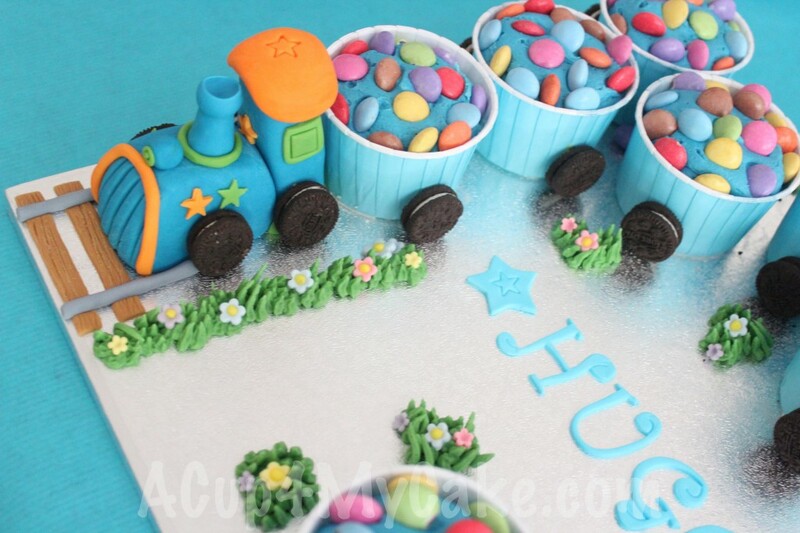 And this was the result: a train carrying loads of smarties! 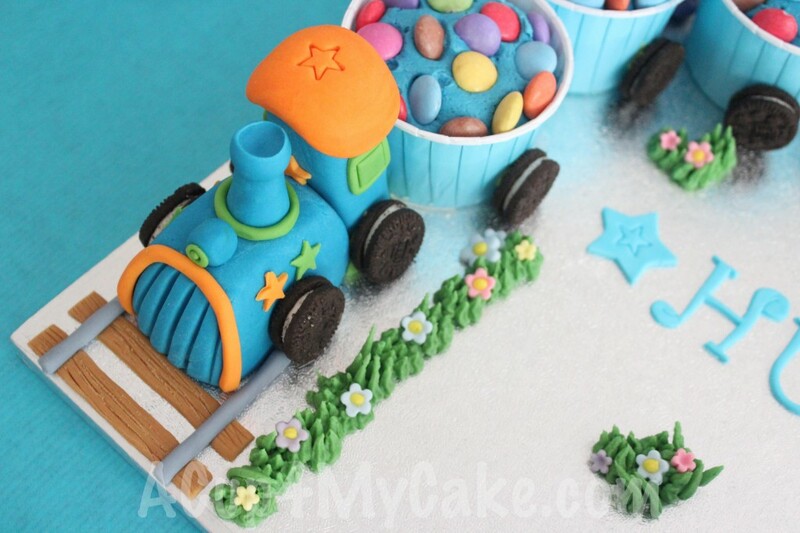 The engine train was made of sugarpaste and the carriages out of cupcakes. The wheels were mini oreo, by the way! I was given some fabulous feedback about it! It was funny to hear that the kids ate everything, even the grass and the track!! 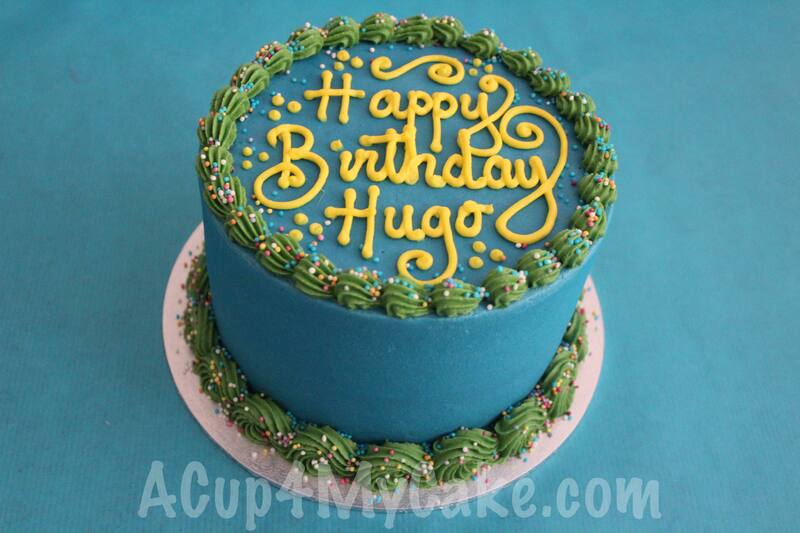 And that was not all, there was still a small cake to share!